CLEAN TITLE!! CARFAX 1-OWNER VEHICLE!! 2015 Lexus ES 350 Sedan, 3.5L V6 Engine, Automatic Transmission, Clean Title with 65,525 Miles. 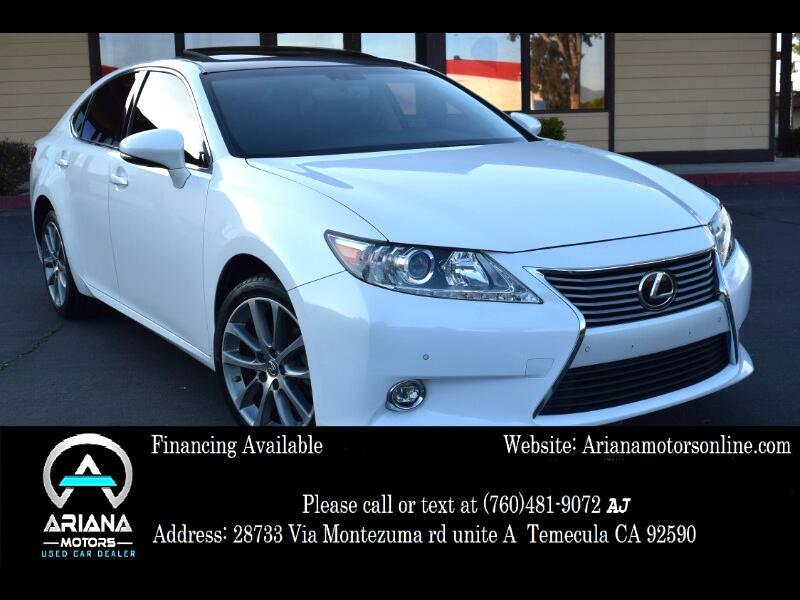 This Lexus is absolutely beautiful with its Pearl White exterior and Black Leather interior. It’s equipped with Navigation, Blind Spot, Back-up Camera, Parking Assist, Bluetooth, Climate Control, Cooled/Heated Seats, Cross-Traffic Alert, Fog Lamps, HID Headlights, Integrated Turn Signal Mirrors, Keyless Start, Multi-Zone A/C, Rain Sensing Wipers, Satellite Radio, Seat Memory, Tire Pressure Monitor, Woodgrain Interior Trim, and many safety options. If you’re looking for power and style then this car is for you! It drives like beauty with plenty of options it won’t disappoint. Call today for financing options or with any questions. Manufacturers’ Warranty includes 4 yr/50,000 mi basic, 6 yr/70,000 mi powertrain. The listed price is firm and does not include tax, license and fees. We price our cars at wholesale value to the public, which means that there is no room for haggling or negotiations. Theft recovery is added at $249 on every purchase to provide our clients with peace of mind. Please visit our website for a complete list of all vehicles in stock. We happily accept trade-ins, third party inspectors and outside financing. We take pride in providing top of the line cars, with low miles and exceptional quality. At Ariana Motors our Mission is to simply be the best in every area of our business. We will accomplish this by providing the most exceptional customer experience, being the best place to work, and strongly supporting our community, all while working together as ONE! As valued customers you have the right to courteous and professional treatment at all times, honest information when you request it, without evasiveness, prompt and efficient service with genuine concern for your time, expect the value of products and services to be equal to or exceed the purchase price. Message: Thought you might be interested in this 2015 Lexus ES 350.